Are you looking for interesting ways to have noodles? Do you worry a lot about your weight put on because of having traditional Maggi or any other Maida-made noodles? If yes, you will be happy to know two of the unique ways to have noodles and that too Atta noodles instead of their Maida counterparts. As we have chosen 0% Maida in any way, you should categorize both of them as tasty and healthy recipes. 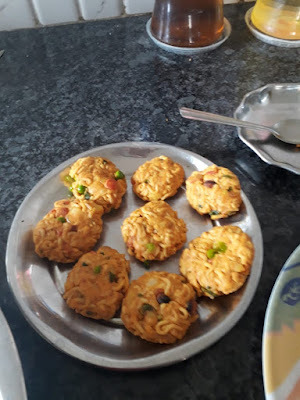 As the name highlights, here we have used Atta Noodles (of any brand but Patanjali is preferable), green veggies of your own choice to prepare the cutlet. In addition, similar to our other recipes, we have used the combination of jowar i.e. sorghum flour, corn flour and gram flour (popularly known as besan) in preparation of the mentioned snack recipe. 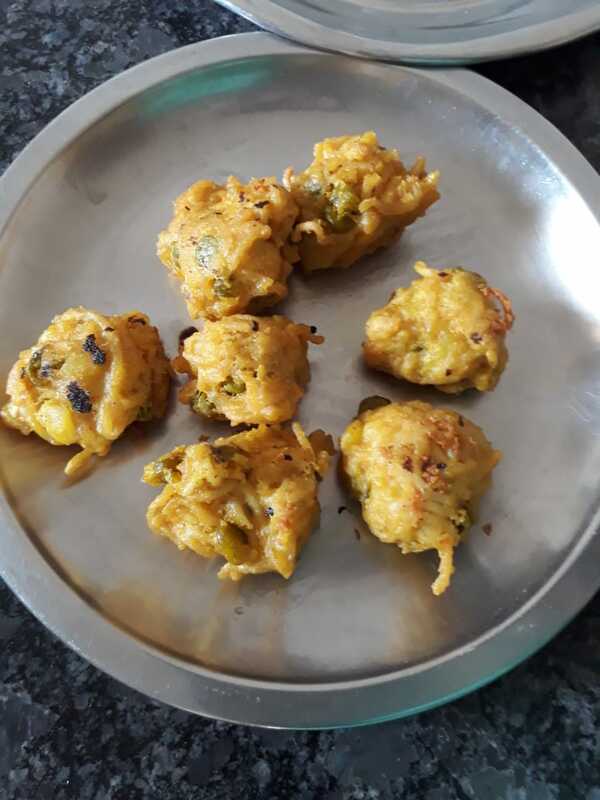 Our experts involved in preparing tasty and healthy recipes have used the combination of veggies, Atta Noodles and besan to prepare bhajiyas. · You do not need to sauté the veggies; instead, once you get a good aroma, you should switch off the gas flame and leave the stuffing to cool. Meanwhile, you should boil the Noodles in a saucepan filled with hot water (same as in case of other dishes). · You have to make sure that the bonding should be tight to give it a proper cutlet shape. · To prepare bhajiyas, you simply have to mix the gram flour and noodles, along with the stuffing well and keep it for a while. · Now, heat the oil in a pan and fry in the same way as you fry onion bhajiyas. Do you often face difficulty related to preparing interesting meals for breakfast or as evening snacks? Are you tired of having boring foodstuffs to begin your day? If yes, you should definitely try out an interesting snack named Aloo Poha Nuggets for the occasion of this International Women’s Day. Every one of us knows that breakfast is the most important meal of our day. Especially, if you are woman, you cannot overlook the importance of having a healthy and a tasty breakfast, as when you intake the essential nutrients in right amount, you will get enough energy to work and fulfill your responsibilities towards your near and dear ones. Hence, what would be better than starting the day with one of the tasty and healthy recipes, as we have shared in our blog post? The best thing is that you may easily prepare the dish by using two of the popular ingredients i.e. aloo i.e. 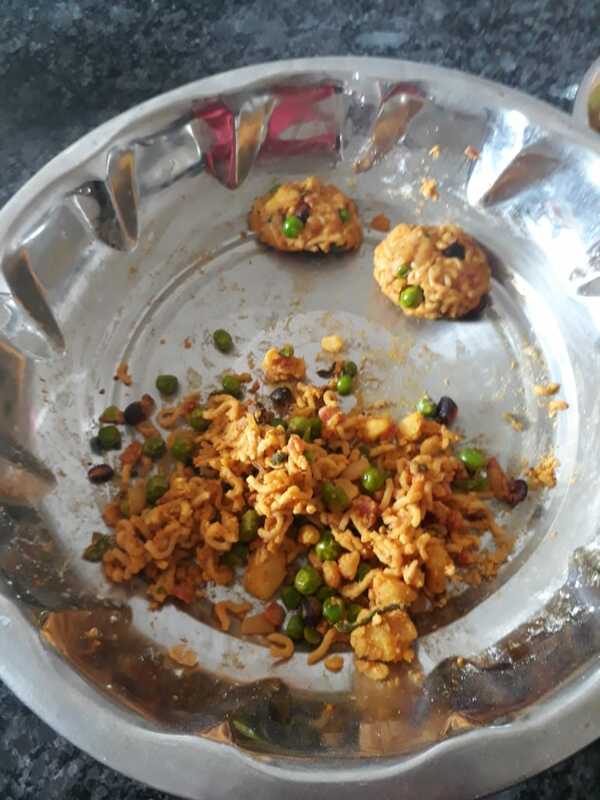 potato and poha available easily in your kitchen. · Mix the prepared potato stuffing with poha gently. · Once you find the stuffing sets, you should make small pieces in the shape of nuggets, balls or chops, as per your own choice. 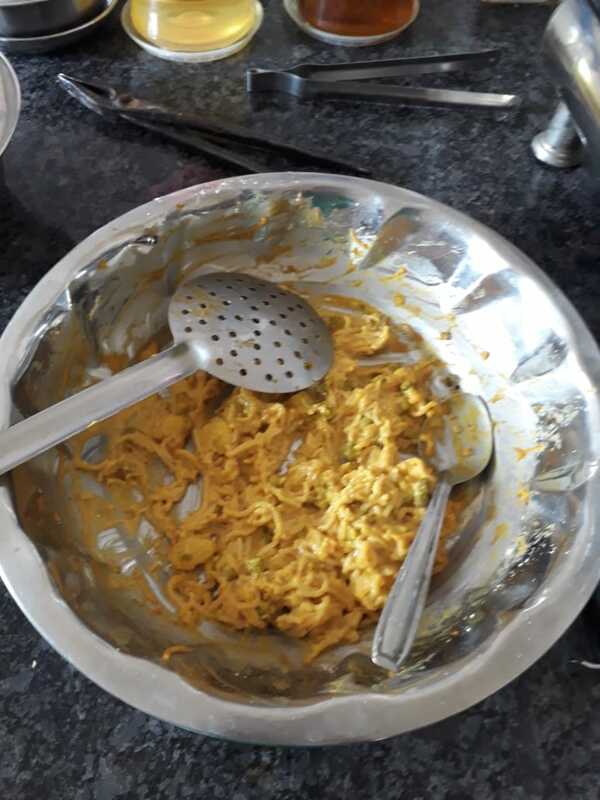 · You should prepare a thin batter of gram flour or corn flour. 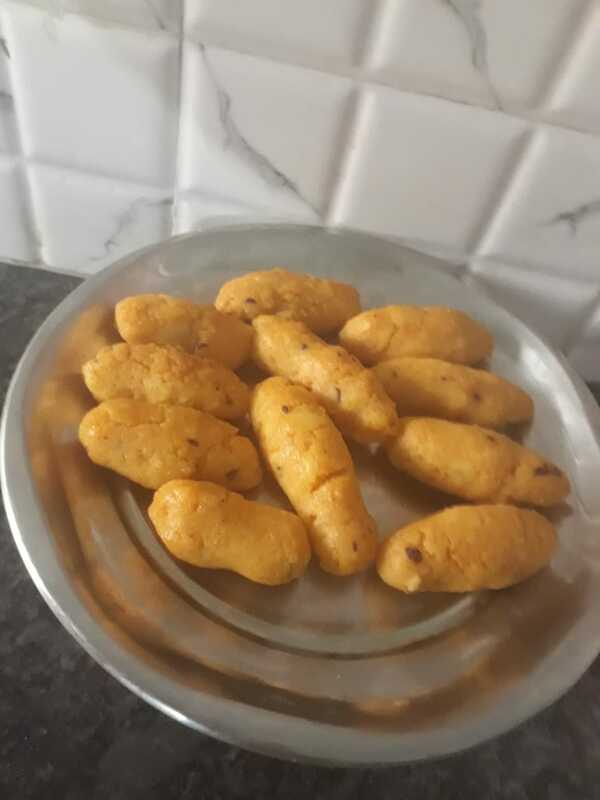 · Dip the nuggets or balls into the batter and deep fry or shallow fry as per your own choice. Alternatively, you may opt to steam or bake the nuggets shapes, for which, you may skip the step of dipping the nuggets into any flour. 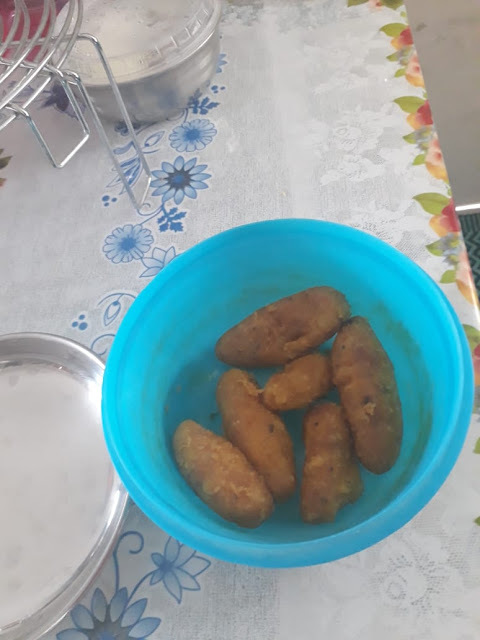 Therefore, Aloo Poha Nuggets become ready. There is hardly anyone, who does not love to enjoy the goodness of chocolate cake. Even the aroma of chocolate is enough to entice any one to have at least one piece of a delicious cake. Moreover, having a chocolate cake is the best way to celebrate your Chocolate Day with your loved one. However, as similar to similar other cakes, chocolate cake contains carbohydrate and fat in higher amounts (because of the combination of Maida and Sugar), which is obviously a no-no for anyone on a strict diet plan. Now, the problem is that today many youngsters give priority to the taste as compared to good health. Thus, with the aim to retain good health via low carbohydrate and fat intake while continue to have tasty cakes, we have come up with a unique 0% Maida-based Rava Chocolate Cake, as one of the tasty healthy recipes. · As we use semolina/suji to prepare our cake, we should grind it to fine powder (similar to the structure of Maida) in a mixer grinder. Combine the refined oil, melted form of gur, vanilla essence and curd/butter milk, while blend them properly. Now, you have to mix each of the solid items properly, which include rava in powered form, baking soda and baking powder, salt and cocoa powder. Once you done with both solid and liquid batter individually, you have to start with mixing both of them in a gradual manner. · You should strictly avoid mixing randomly. 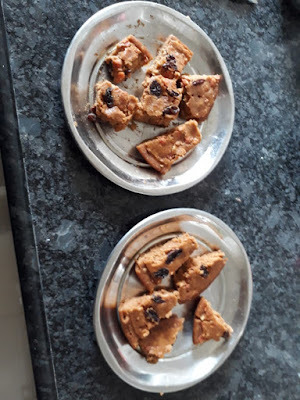 · Take a cake tin and oil its bottom part properly. · Now, transfer the mixed batter into the tin. · Pre-heat the micro-oven and bake it at 180 degree Celsius for about 30minutes to 40minutes. · You should check the prepared cake by using a toothpick. · When the toothpick comes out clear, your cake is done. · Leave the prepared cake for about 5 minutes in the cake tin itself. · Separate the cake from its edges gently and place it in a plate. Therefore, your cake becomes ready to cut and celebrate your special occasion, including the Chocolate Day with your special one. Whenever we talk about parties and celebrations, including the celebration of New Year 2019, the first thing strikes in our mind are the sweet, tasty and delicious cakes. However, as the cake is made by using all-purpose flour i.e. 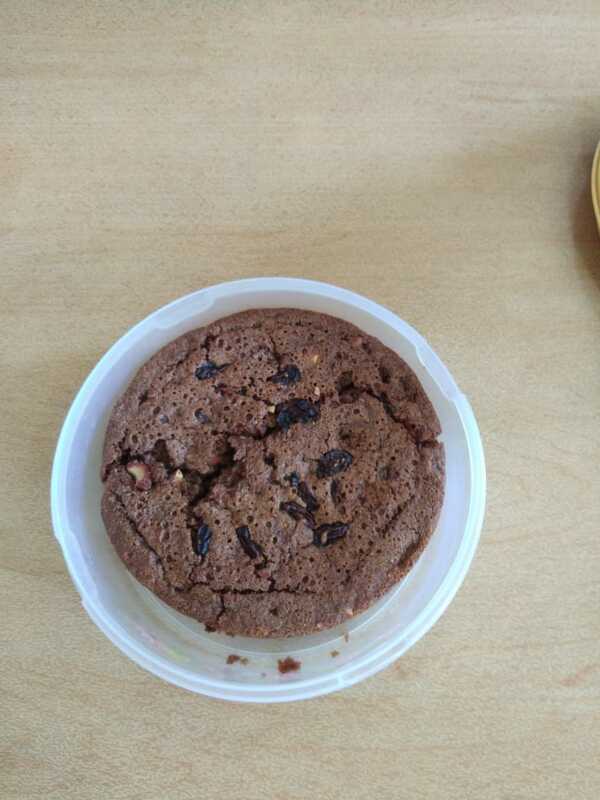 Maida and huge amount of sugar; it is a strictly prohibited item among overweight individuals and Celiac disease patients. Hence, in order to allow fitness freaks and Celiac disease patients to enjoy the goodness of cakes, our tasty healthy recipes experts have come up with gluten-free cake. Gluten-free cake, as the name highlights consists of gluten-free base i.e. jowar flour instead of using Maida i.e. all-purpose flour. In addition, to reduce the percentage of carbohydrate and making it healthy, we have used jaggery, popularly known as gur among Indian people. However, to make the cake, we have sieved the jowar flour for about 3 to 4 times, so that it somewhat resembles as fine powder. We know that jowar flour is of hard type, because of which you should sieve it for at least 3 to 4 times before you should start with the preparation of your cake. Secondly, break the jaggery into small pieces or melt it by using hot water. (Melting is preferable). · Next, mix the melted jaggery, oil and curd, along with vanilla extract properly i.e. the wet mixture. · Now, you have to combine both dry and wet mixture bit by bit gradually. (Never perform this step randomly). · Thus, your batter of the gluten-free jowar cake is ready to bake. · Similar to any cake-baking method, you have to preheat the micro-oven by selecting its convection mode at 180 degree Celsius before you should start with the baking method. · Meanwhile, you should bring a cake tin and oil it from all sides properly. · Place the batter in your cake tin and wait for the completion of preheating step. · Once the pre-heat step completes, you should place a stand. · Place the cake tin on the stand and bake the batter at 40 degree Celsius for about 30minutes. · Remove the cake tin from the micro-oven and perform toothpick test. · In case the toothpick does not come out clean, you have to bake the batter again for a while. · Once your cake is done, just remove the cake tin and allow it to cool. · After your cake cools, you may remove it from the cake tin and place it on a plate to cut and celebrate your occasion. 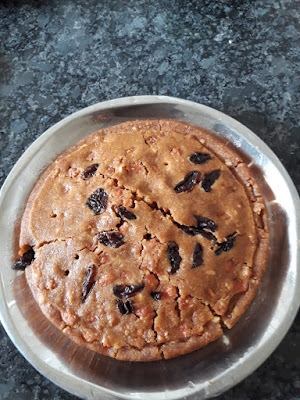 Therefore, try out our gluten-free jowar made cake at your home and fill the life of your near and dear ones with lots of sweets and happiness, along with the intake of lesser calories. Are you tired of having pulses/legumes and common veggies in your lunch and dinner? Alternatively, are you a parent and often facing difficulty to make your child eat legumes, pulses and nutritious green veggies? If yes, you will have good news now. This New Year, we have come up with one of the tasty healthy recipes for individuals belonging to every age group with Dal and Green Veggies Chop. 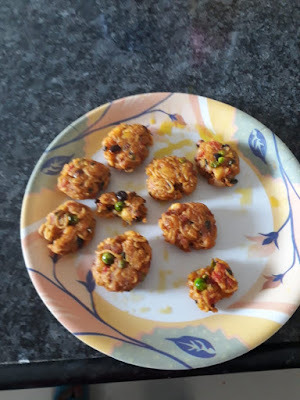 Moreover, as our dal-based recipe contains 0% Maida and we have soaked the oil post frying, you may enjoy our chops even when you are on a diet plan. Chop each of the veggies, including tomatoes and green chilies so that you may easily mix and grind them in a mixer grinder. · Remove the stuffing from the pan and leave it to cool. 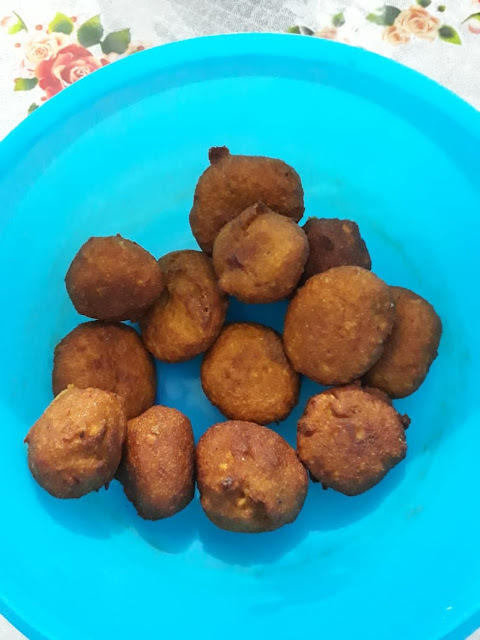 · Once you prepare the dough, start taking out small lemon size balls. With our Mug Dal and green veggies combined recipe, you will get each of the essential nutrients present in pulses, carrots, cabbage and green peas by enjoying a great taste.